Santa Maria style BBQ is a culinary tradition from the Santa Maria valley in Santa Barbara County. The method of BBQing heralds from the late 1800s and is nationally recognized for its California-centered customs. The mid-1800s brought along Spanish-style feasts each spring for the vaqueros (cowboys). They bbq'd meat over traditional earthen pits filled with coastal live oak and the meal was always served with, and this is still a mainstay tradition, pinquito beans. The Santa Maria chamber of commerce copyrighted the staple menu in 1978. So, let's talk about the anatomy of a Santa Maria style BBQ. It's simple, there are four components. Some purists will argue about the minutia of these claims and that's fine. I was raised to enjoy several forms of Santa Maria style BBQ and I know both pure and practical methods. What you need: grill, fuel (and potentially a starter), seasoning and meat. Typical Santa Maria style BBQ is made on an oak pit fire bbq. These BBQ grills feature a welded metal box frame, with a crank used to ratchet the height of the grill. The reason for the hand-crank style pit emerged from the windy Santa Maria valley, which requires the use of oxidative fire (burning) and can vary the heat output depending on the fuel type and oxygen content (wind). Typical fuel consists of oak firewood. Santa Maria valley is flush with beautiful old growth coastal live oak trees. Many of these beautiful trees are hundreds of years old and when they die or need to be removed because of, say, disease, tree removers slice up the cuttings into smaller cords and ultimately split down and bundle into firewood for sale. You can buy bundles of oak firewood throughout the Central Coast. Oak is a hardwood, it's takes time to ignite, but once it get's going it creates a long lasting heat, unlike a softwood like pine, which burns fast and hot. Sustainable heat is a key factor for BBQing. Seasoning is hugely important, you can make your own, but I'd recommend using what almost every Santa Maria native uses: Susie Q's Santa Maria style seasoning (see an image below). The seasoning consists of garlic powder, salt, black pepper and sometimes some dried herbs (parsley, cilantro, oregano, basil, etc.). Susie Q's also adds a little cane sugar, sweetening up the recipe. I highly recommend and regularly gift Susie Q's Santa Maria style seasoning every Christmas to friends and colleagues. Finally, the meat. Traditional Santa Maria style bbq is tri-tip or chicken, but the style of BBQ is more paramount than the kind of meat. Purists argue otherwise, but you can Santa Maria style your steak, fish, ribs and pork. All taste fantastic well seasoned over an oak pit. Say you live in an area that doesn't sell those big Santa Maria style pits or oak wood. There are substitutes my father used while we were camping or at a friends place who didn't own the full accommodations. And honestly, the BBQ from these substitute tools is just as worthy and tasty. Here's what you can do to provide your own Santa Maria style grilling experience, though not truly pure, you'll nevertheless achieve the essence of the regional gastronomy: a weber tripod grill, a chimney starter, lump coal (you can find hardwood lump charcoal at many grocers) and Susie Q's Santa Maria style seasoning (you can buy this from Amazon). You'll want to have zones on your grill, cooler and hotter sections where the distribution of your fuel (wood or coals) is lower and higher. There are countless tutorials on how to deliciously bbq tri-tip, chicken, steaks, etc. and I'm not going to relay my backyard chef skills in this post, as it's easy to track down wonderful youtube videos to help educate a person on how to properly cook meat. A key component of any tri-tip meal is salsa, usually pico de gallo, but your favorite brand of salsa will work as well. The Californist reviewed locally made salsa's recently to help with your salsa selection. Here are some of our favorite Santa Maria style BBQ recipes with reliable support from the trusted team at the Food Network. 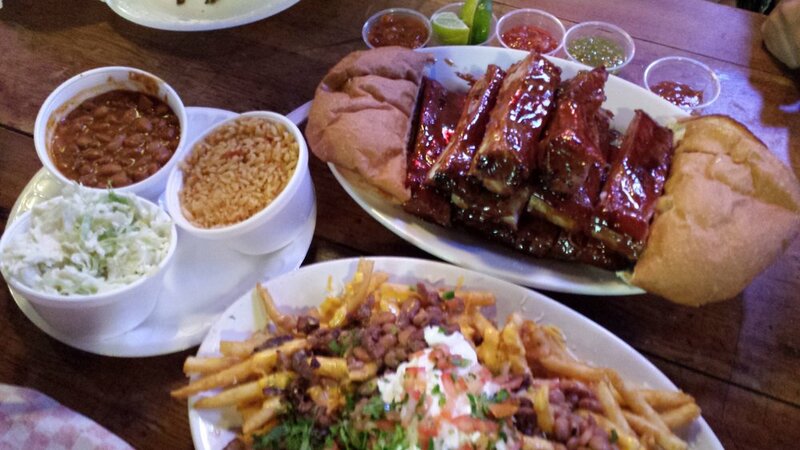 Friday nights are cook your own in Santa Maria's largest indoor barbecue. 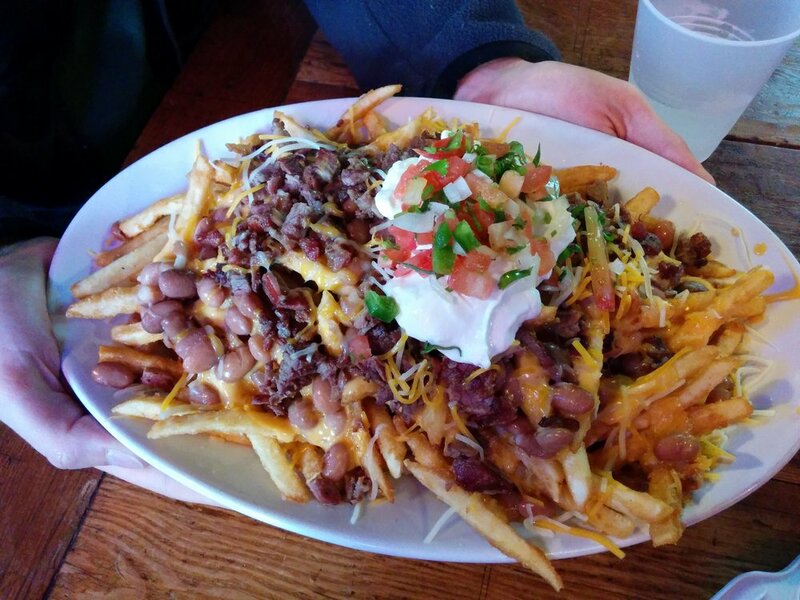 Includes salad bar, baked potato or french fries and the famous Santa Maria style beans. Steak, Chicken, Fish, Ribs: $13, Non-member $18. Salad: $8. 6PM to 8:30PM.